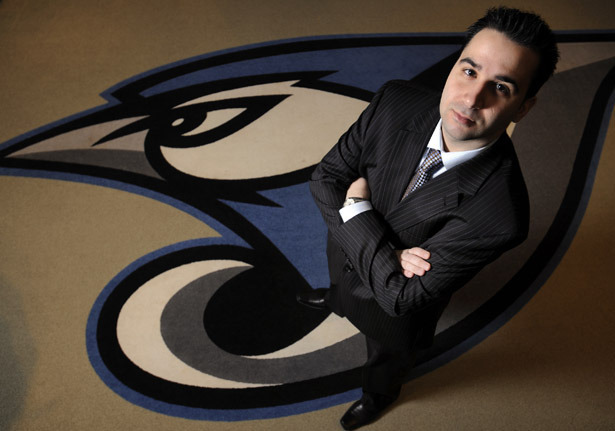 Following the 2012 Major League Baseball season, Toronto Blue Jays GM Alex Anthopolous made some noticeable moves, to seemingly re-invent Canada’s team. Jay’s fans everywhere were ecstatic and pumped for the upcoming season, thinking that playoff baseball would finally return to Canada after 20 long seasons. 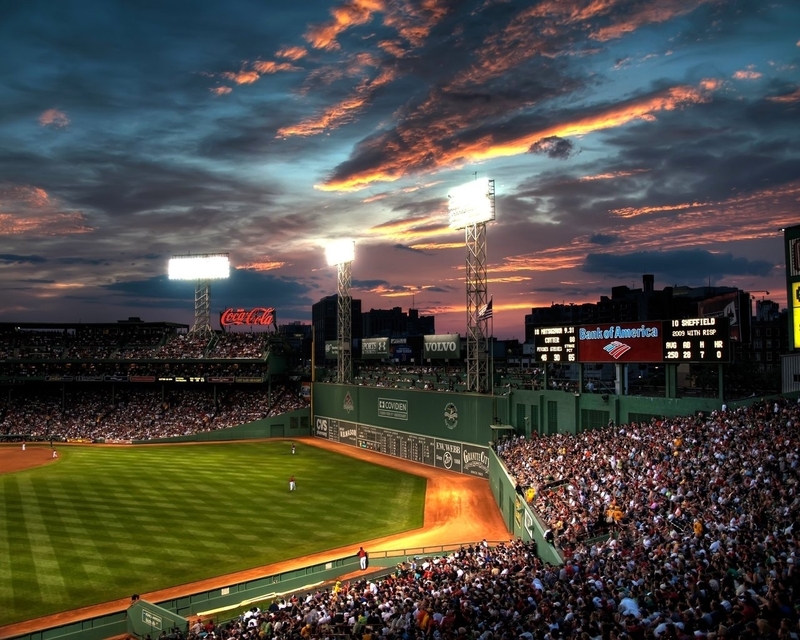 However the 2013 ended with the team going 74 – 88 and finishing dead last in the AL East. A lot of it was injuries to key pitching and also to superstars on the offense side. AA has his work cut out for him this winter too. It has been a long time since the club has had a homegrown talent. A lot of this is not Alex Anthopoulos’s fault, as predecessor J.P. Ricciardi made most of the Draft picks. In fact, AA still pulled off one of the biggest ‘Hoodini’ Acts of all time, getting the Angels to bite on Vernon Wells. He also let the Alex Rios contract walk out the door, when the White Sox claimed him. No matter how you feel about letting an asset walk free like that – and his decent numbers with the White Sox, those $ freed up enabled them to sign Bautista and Edwin Encarnacion. AA was able to extend Joey Bats 5 Yr/$64 MIL after his breakout 54 HR campaign. Pundits called it a bad idea, but #19 rewarded Toronto with 43 HRS in 2011. 2012 and 2013 have been injury riddles seasons for Bautista, but he has still put up 28 HRs and 27 HRs respectively – in about 2/3rd of the year in both campaigns. Enacarnacion is the most underrated player in the game of baseball right now. While I thought he sold himself short, EE signed a 3 YR/$29 MIL extension midway through the 2012 season. The man has 78 HRs (3rd only in the last 2 year to Miguel Cabrera and Chris Davis and has driven in 214 RBI in that time frame. In 2014 though, it will be the Starting Pitching that will need to step up to the forefront for the team to compete. It would be nice if they could have a healthy season from Brandon Morrow and breakout season from Kyle Drabek (coming of TJ Surgery). The rest of the prospects could soon become suspect – if the young players can’t step up to the plate in the Majors. Anthony Gose, David Cooper and J.P. Arencibia may have to prove they can hack it long term. 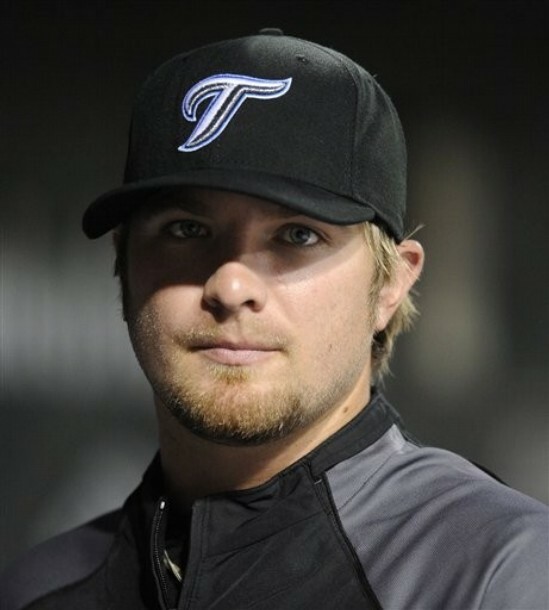 Kyle Drabek establishing himself as one of the Starting Pitchers in the rotation – will go a long way in this teams success in 2014. In the roundabout way of the assets from the Roy Halladay trade, it is essentially he, Anthony Gose and R. A. Dickey representing the Blue Jays in the chain play to their potential, where Noah Syndergaard and Halladay were the only meaningful drafted assets surrendered in the multitude of trades. Halladay is a Free Agent now. John Buck was part of the Marlins, then Mets trade however he would be listed 5th in the trade’s top players coming over from Miami. Mike Nickeas and Josh Thole also are part of the Jays trade from the New York in the R.A Dickey trade, while the Wuilmer Becerra rounds out the players with the Mets organization. Posted on November 10, 2013, in On the Verge: MLB Prospects, Organization Depth Charts MLB and MiLB Affiliates, The Rest: Everything Baseball and tagged 1b Henderson Alvarez, 2013 Baseball America's Top Ten Prospects, A.J. Jimenez, aaron loup, Aaron Munoz, aaron sanchez, adam lind, adam loewen, Ajay Meyer, AL East, Alan Farina, alex anthopoulos, Alex Hinshaw, Alonzo Gonzalez, Amadeo Zazueta, American league, Andrew Burns, Andrew Sikula, andy laroche, anthony gose, Art Solomon, Austin Bibens-Dirkx, Balbino Fuenmayor, Ben White, Blake McFarland, Blue Jays 25 man roster, blue jays 40 man roster, Blue Jays Management, Blue Jays PITCHERS, Blue Jays POSITION PLAYERS, Bob Stanley, Bobby Brosnahan, Bobby Korecky, Bobby Meacham, boston red sox, Brad Delatte, Brad Glenn, brad lincoln, brandon morrow, brett cecil, brett lawrie, Brian Van Kirk, Bruce Walton, Bryan Kervin, Bryan Longpre, Buddy Carlyle, Buffalo Bisons (INT), Buffalo Bisons PITCHERS, Buffalo Bisons POSITION PLAYERS, c Aaron Sanchez, c Anthony Gose, c Carlos Perez, c Chad Jenkins, c end sumar, c Jake Marisnick, c Zach Stewart, Carlos Ramirez, Casey Beck, Casey Janssen, casey lawrence, Chad Beck, chad jenkins, chad mottola, Chorye Spoone, Chris Hawkins, Chris Schaeffer, Christian Lopes, Chuck Booth. fastest 30 ballgames, Chuck Johnson, Clayton McCullough, Clint Robinson, colby rasmus, Colton Turner, Dalton Pompey, Dan Klein, Daniel Arcila, Daniel Norris, Danny Barnes, Darold Knowles, darren oliver, Dave Bush, Dave Pano, Dayton Marze, Deck McGuire. Ryan Tepera, DeMarlo Hale, Derrick Chung, Don Logan, drew hutchinson, Drew Permison, Dunedin Blue Jays (FSL), Dunedin Blue Jays PITCHERS, Dunedin Blue Jays POSITION PLAYERS, Dustin Antolin, dustin mcGowan, Dwayne Murphy, dwight smith jr., Edgar Gonzalez, edwin encarnacion, Efrain Nieves, Egan Smith, emilio bonifacio, Emilio Guerrero, Eric Brown, Eric Phillips, Esmil Rogers, Eugenio Velez, Fernando Hernandez, Gabe Jacobo, Gary Allenson, Griffin Murphy, Gustavo Pierre, hank aaron award winners, Henry Blanco, Ian Kadish, Ian Parmley, j.a. happ, j.p. arencibia, Jack Murphy, Jason Leblebijian, Javier Avendano, Jeremy Jeffress, Jesse Hernandez, Jim Czajkowski, Jim Negrych, Joel Carreno, john anderson, john gibbons, John Stilson, John Tamargo Jr., John Tolisano, Jon Nunnally, Jon Talley, Jonathan Jones, Jonathan Lucas, Jonathon Berti, Jorge Flores, jose bautista, jose reyes, josh johnson, josh thole, Juan Perez, Justin Germano Claudio Vargas, Justin Jackson, K.C. Hobson, Kellen Sweeney, Kenny Graham, Kenny Wilson, Kevin Ahrens, Kevin Nolan, Kevin Patterson, Kevin Pillar, Kramer Champlin, Kyle Anderson, kyle drabek, Lance Zawadzki, Lansing Lugnuts (MID), Lansing Lugnuts PITCHERS, Lansing Lugnuts POSITION PLAYERS, Leo Hernandez, lhp Aaron Sanchez, lhp Justin Jackson, lhp Justin Nicolino, lhp Roberto Osuna, Luis Antonio Jimenez, luis perez, Luis Rivera, maicer izturis, Marco Grifantini, marcus knecht, marcus stroman, Marcus Walden, mark buehrle, mark derosa, Marty Brown, Matt Johnson, Matt Newman, Matt Wright, mauro gomez, melky cabrera, Michael Crouse, Michael Nickeas, Michael Schwimer, Mickey Storey, Mike McCoy, moises sierra, munenori kawasaki, Neil Wagner, New Hampshire Fisher Cats (EAS), New Hampshire Fisher Cats PITCHERS, New Hampshire Fisher Cats POSITION PLAYERS, Nicholas Baligod, Nicholas Purdy, Nick Baligod, of 2010 Baseball America's Top Ten Prospects, of Daniel Norris, of Jake Marisnick, of John Stilson, of Josh Roenicke, of Noah Syndergaard, of Travis D'Arnaud, Oliver Dominguez, Pat Day, paul beeston, Pete Walker, Peter Mooney, Pierce Rankin, r.a. dickey, rajai davis, Ramon Ortiz, Randy Boone, rhp 2011 Baseball America's Top Ten Prospects, rhp 2012 Baseball America's Top Ten Prospects, rhp Aaron Sanchez, rhp Adeiny Hechavarria, rhp Anthony Gose, rhp Asher Wojciechowski, rhp Brad Mills, rhp David Cooper, rhp Deck McGuire, rhp Drew Hutchison, rhp J.P. Arencibia, rhp Jake Marisnick, rhp Justin Nicolino, rhp Marcus Stroman, rhp Noah Syndergaard, Ricardo Nanita, Rich Thompson, Richie Hebner, Rick Brenner, ricky romero, Roan Salas, Roberto Osuna, Ronald Melendez, Ryan Goins, ryan langerhans, Ryan Schimpf, Santiago Nessy, Scott Copeland, Scott Gracey, Sean Nolin, Sean Ochinko, sergio santos, Seth Conner, Shane Opitz, shawn griffith, Shelby Nelson, ss Carlos Perez, ss D.J. Davis, steve Delabar, Stubby Clapp, Taylor Cole, texas rangers, Thad Weber, todd redmond, Tom Dickson, Tom Signore, Tommy Hottovy, Tony Davis, toronto blue jays, travis d'arnaud, Travis Garrett, Tucker Donahue, Tucker Frawley, twitter @chuckbooth3024, Tyler Ybarra, Tyson Brummett, Vancouver Canadians (NW), Vancouver Canadians PITCHERS, Vancouver Canadians POSITION PLAYERS, Vince Horsman, Wil Browning, Willie Collazo, Zach Stewart, Zack Breault. Bookmark the permalink. Leave a comment.